It rained yesterday, for the first time in our nearly two months here in Kotagiri. We watched the clouds gather over the tea fields, casting the Blue Hills with an eerie orange glow. Wayward breezes blew a cool up the valley, and scattered the brilliant purple blooms of the jacaranda. A calm settled over the landscape, silencing the regular symphony of honking cars. 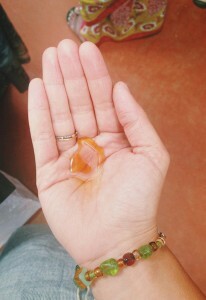 Raindrops began to pick a beat on the roof of Mandarae and then, suddenly, the atmosphere was saturated with water. Nothing compares to the first rain of the season, but it seemed particularly auspicious timing, as we wrap up our seventh week of class at the NFLC. These last few lectures mark the end of our classroom experience. After a short vacation that will take us across Tamil Nadu to the coast of the Indian Ocean, we’ll return to Kotagiri and begin our research in earnest, working extensively in the field and intensively on analysis. Indeed, I’ve heard the same sentiment echoed by all of us in recent weeks: disbelief that nearly two months have passed, already, and uncertainty as to whether we’ll be ready for what lies ahead. To the question of time, I say that surely seven weeks is a long while, but it’s not as if a moment has been wasted, either. 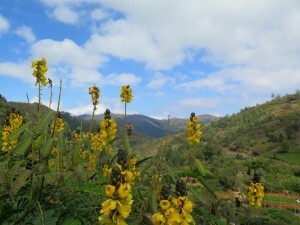 We’ve covered impressive ground, an imperative in a context so exotic and complex as the Nilgiris Biosphere Reserve. Our first week established methods of inquiry and analysis, so that we could be better observers and thinkers in this new environment. We then spent an entire week exploring the conceptual and functional meaning of a Biosphere Reserve, and another trying to comprehend the vast yet intricate system of Indian governance. 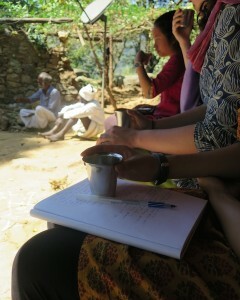 Two units were devoted to interpreting the unique sociocultural context of the Nilgiris, and grasping the role of the spiritual and psychological in shaping wellbeing of communities and nature. In the last two weeks, we’ve discussed in-depth the history and prognosis of Nilgiris livelihoods, and examined means of supporting these through enterprise initiatives. To complement these units, we’ve had many field visits, frequent guest lectures, and countless debriefs. As others have mentioned in their blog posts, this process of thinking, imagining, and experiencing has helped us to establish strong bonds with one another, and been so powerful that we’ve occasionally forgotten that we’re in India – we’re simply here. This sort of in situ attitude is perhaps our greatest asset as NFLC students. 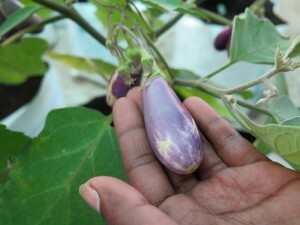 It shows that we’ve taken root in the Kotagiri context – but true to biology, there is hardly anything static about being rooted; rather, there is the opportunity for growth. This dynamic habit is the antidote to our qualms about uncertainty: in the last seven weeks, we’ve repeatedly overcome our doubts by embracing them, and immersing ourselves in this environment. We’re concluding now with a mini-unit on urbanization, which ties together much of our collective thinking – on the relationship between humans and nature; the promises (and perils) of development; and the necessity to consider community when addressing sustainability. 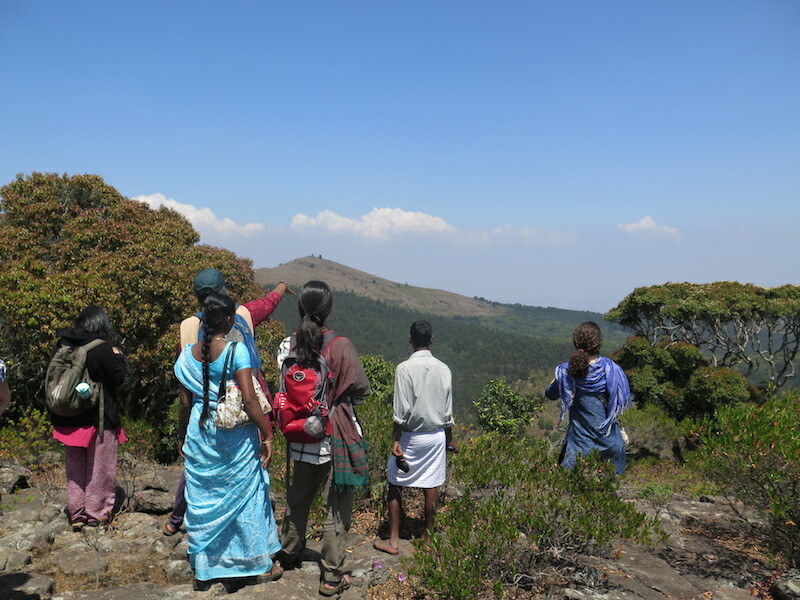 The NFLC, and the greater Nilgiris context, provides fertile ground for exploring these momentous topics, yet the questions we’re asking have emerged organically. As yesterday’s rains dissipated, they left behind a brilliant scene – revealing the world anew, cleaned of its layer of insidious dust. The leaves and blossoms of March shone, verdant and hopeful, and the cool air bore the unmistakable scent of promise. In that moment, all feelings of disbelief and uncertainty evaporated, overcome by that innate and insatiable impulse we’ve become so accustomed to thriving on: the unquenchable desire to learn. This entry was posted in Hanna Reichel. Bookmark the permalink.